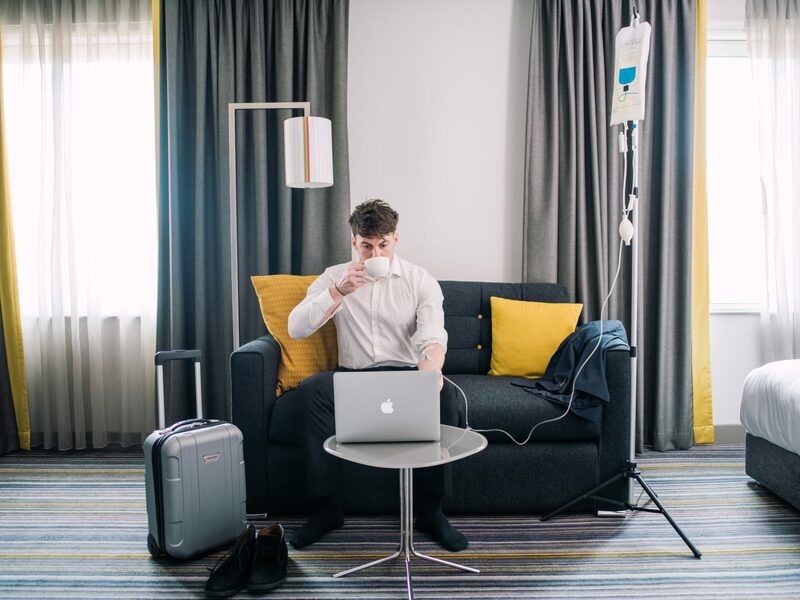 Can an IV vitamin drip really cure jet lag? California’s new C Magazine chief brand and content officer, Andrew Barker, gets under the skin of this new treatment to assess it effectiveness after a long-haul flight from Los Angeles to London. Life can be sweet. At the beginning of the year I was offered a job that meant I would be travelling eight times a year to LA. Year-round sunshine, beautiful people and plenty of meetings over mezcal. Of course I said yes. But life can also be cruel. The crippling jet lag was making me a night owl slash zombie for days on end. I tried different strategies to cheat my body clock. I even stayed out until 3am on the first night back once but that threw my circadian rhythm off kilter for ten days. Businesses class problems? Yes, but this businessman needed a solution. 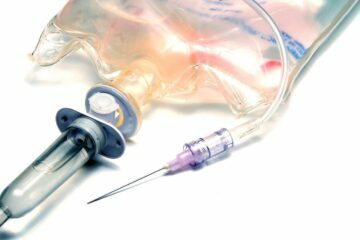 An intravenous drip from The IV Doc UK, however extreme it might sound, looked like it could be the one. I say solution because the IV bag that the delightful nurse Lisa turned up at my flat with in her wheely case was largely made up of saline – in this case a mixture of sodium chloride, sodium lactate, potassium chloride and calcium chloride dissolved in water to replace fluids and electrolytes. Dr Joshua Berkowitz, medical director of The IV Doc explains why this is so vital. “It takes a mere 1 per cent of dehydration for feelings of sluggishness to set in. But it’s not as easy as drinking lots of water – that is only 50-60 per cent absorbed by the body before being excreted. To rehydrate fully and fast, fluids need to be taken intravenously,” he says. Lisa assembled her 8ft stand, hung the bag, connected the tubes, tied a tourniquet on my upper arm and located a nice, fat vein, hooking me up quickly and painlessly leaving my right hand free to catch up with the LA office as the emails started to ping in. The whole thing took just over an hour. What else was in the bag? Multi-vitamins including B-Complex to “correct any chemical imbalance”; vitamin C to “support our energy-yielding metabolism and protects our cells from oxidative stress and reduces tiredness and fatigue”; a large dose of vitamin B12 to help counteract the inevitable fatigue felt after any long-haul flight, but in particular one with an eight-hour jump forward. Finally, it contained a Glutathione “push” as Dr Berkowitz calls it, to give some additional anti-oxidants to boost energy, and Toradol, an anti-inflammatory “to offset any discomfort and inflammation that occurred while flying”. So what’s the ROI on the £419 IV treatment that you can find variations of for less money? Firstly, the convenience of having a nurse show up at my door 30 minutes after arriving home after a mid-afternoon landing probably saved me a couple of hours of valuable nap time. Waking up and getting out of the house at 7pm for a dinner in Shoreditch was a struggle but the vitamins need up to 12 hours to really kick in. Having said that, I was perky over dinner, enjoyed a few beers and was sound asleep by midnight. Best of all was how fresh I felt on Sunday morning when I surfaced at 8am. So I checked my local Barry’s Bootcamp and found a slot in a morning class. Getting through that was the proof I needed that I was over the jet lag in 24 hours, something I had never imagined possible. Now if only they could offer it as an in-flight service with your croissants and orange juice.